Report finds Gov Brown’s planned closure of state juvenile facilities financially viable, but is that a good thing? Earlier this January California Gov. 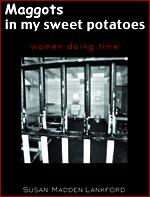 Jerry Brown announced his strategy for fading out the Division of Juvenile Justice system by 2014. Counties would have to cough up $10 million towards developing local alternatives to the state level facilities that will close. Members of the law enforcement community and the counties themselves have been quite vocal in their concern that they lack adequate secure juvenile placement facilities for high-risk youth offenders the DiJJ currently serves. It would now seem, according to a report just released by The Center on Juvenile and Criminal Justice in San Francisco, not to be the case. According to their numbers California’s counties easily have the capacity required to implement the Governor’s proposed closures. The CJCJ reports a different picture. From 1996-2007, CJCJ says 41 counties have invested $438 million in state and federal funding for building new and secure juvenile justice facilities. That’s resulted in California having a surplus of 4,090 beds that the CJCJ says is enough to house and serve high-risk offenders at the county level over the proposed realignment period. Even though juvenile crime in California has been in steady decline for several decades and at an all time low of 52,000 felony arrests in 2010—down from 76,100 in 1998—counties continue to build jails and increase their bed capacity. In the last ten years, Alameda County has replaced the dilapidated 48-year-old Alameda County Juvenile Hall with a new 358-bed facility given. San Francisco County built a new 150-bed juvenile hall to replace the 51 year old run down 132-bed facility. Youth justice advocates, probation chiefs and district attorneys are apprehensive about the proposed closures. They warn that it could well lead to more youths being sentenced to doing time in adult facilities, something proven to simply manufacture hardened criminals. While the ability to afford the closures is there this is not a simple issue of finances. There is little training at the county level for servicing the the very specialized needs of juvenile offenders. Once more it becomes a matter of short-term fiscal savings vs. the long-term damage that can be done. Facilities and staff must be prepared for the influx of youth if we are to refrain from creating an even larger problem, and that at the cost of lives that could have been reintegrated into society. Decisions of this magnitude always require the best data available, and hard numbers are always a good thing. Now that we have a clear picture of the actual ability to bear the costs we can begin to focus on what steps would be needed to prepare the counties to properly handle the transition. Otherwise we face exponentially greater expense as these kids enter the revolving door of recidivism. These are the steps that will guarantee success or failure, not mere finances. The current set up is surely flawed, but we run the risk of sacrificing the future for small “gains” today. What are your thoughts on the matter? Do you support the Governor’s aim to close the state facilities over the next few years or do you think it’s a mistake? Let us know and tell us why! It is a fact of the modern, media-driven mentality that celebrities attract a lot of attention. This is frequently leveraged, where possible, to attract attention to causes of various sorts. Back in my home town of New Orleans, Brad Pitt is the resident champion of sustainable housing. Jerry Lewis has his famous telethon; Oprah consistently casts her spotlight on social issues, and so on. 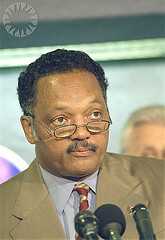 Today, another celebrity is in the news as he tries to attract the eyes and the ears to the plight of the homeless — Jesse Jackson. Rev. 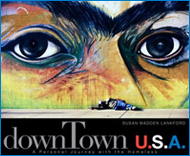 Jackson will be spending the night in a homeless shelter in the San Francisco’s Mission District. ‘Two things strike me when I come to the homeless shelter, the number of people who are working by day who live in the homeless shelter and the number of children in these shelters who in fact end up being disconnected from school,’ said Jackson. This is what we all need to keep in mind. This is not a partisan issue, it is a human issue. There is not an ounce of liberal or conservative agenda in the simple and chilling observation I just quoted. It was only yesterday that I was writing about the importance of staying in school. There are many homeless people in the U.S. — and the numbers grow daily — who, while employed, have suddenly found themselves bereft of a roof. It could be a subprime home loan, accumulation of debt, or a variety of other factors, but the simple reality is that more and more everyday people are hitting the streets. Jackson is a colorful character, and I am sure that his overnight stay will attract a lot of attention. I certainly hope that it helps. Every effort to raise awareness is important. Image by PublicResource.org, used under its Creative Commons license.